In this episode Cody and Chris have not one, but two special guests! 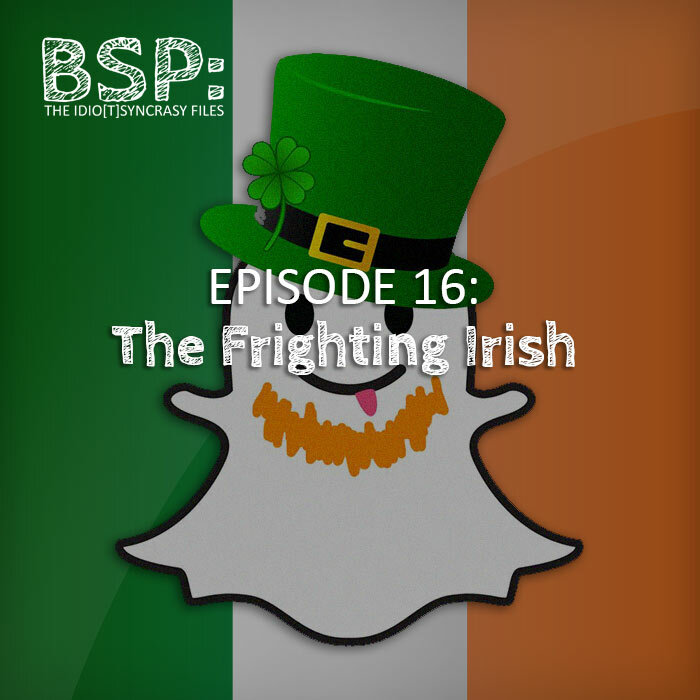 Irish fellows Eddie and Paddy from the Bayk Podcast join BSP for some spooky Ireland fun. Eddie tells us about the Banshee, while Paddy and Cody share their personal experiences with her. Paddy also discusses a very personal story about an Irish ghost (it gave everyone chills). Chris talks about a moving statue and weird Irish cryptids that roam the rivers. Cody debunks the banshee with audio evidence, while Chris uses scientific statistics for his belief. Instead of BS Weekly, Chris and Cody play the game Which Irish Creature Am I with Eddie and Paddy. This episode is brought to you by: Pacific Pilsner, Liberty Creek and Irish Cream (and Root Beer).